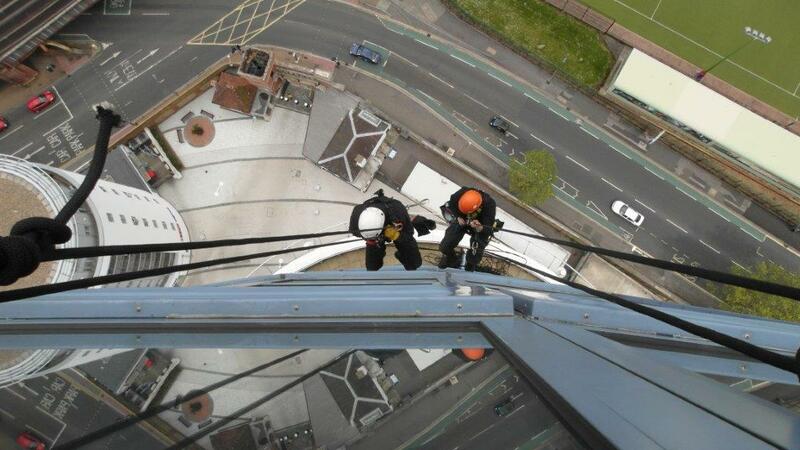 Eyebolt & safety services from the UK's work at height specialists. Safety is paramount in all of the work we do whether we are up in the air for tree surgery or have our feet firmly on the ground for low-level window cleaning. Taskforce installs all types of eyebolts. More accurately known in the ‘safety system’ context as a Class A1 Anchor Device, Taskforce UK Ltd can install the eyebolt into a wide range of surfaces to provide a safe point of anchorage. A person must determine the positioning of eyebolts and install with the requirements of BS 7883 and EN 795. All A1 Anchor Devices require inspection. 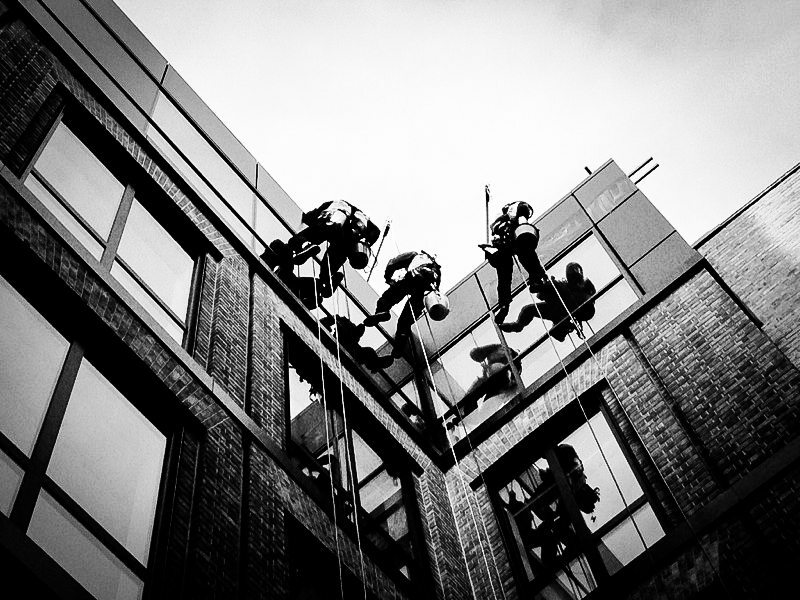 Taskforce UK Ltd is fully trained in the use of all types of window cleaning cradles and carry out regular cleans at high profile locations throughout the UK. Tree surgery is more than ‘cutting down trees’ it requires training. Taskforce Ltd has experience backed by comprehensive insurance. 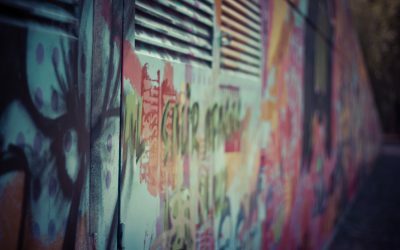 We provide competitive, free, no obligation quotations in writing. The quality of workmanship is guaranteed. A fall arrest eyebolt needs to be installed safely, for example inside near a window and then it must be loaded correctly to a shear value. A single fall arrest eyebolt is for fall arrest purposes only. We can supply fall arrest anchor devices as fixed or removable. The removable anchor has a permanently installed socket, concealed by a flush fitting cover with the eyebolt then fitted like a ‘key’. The advantage of this type of eyebolt is it offers a visually unobtrusive solution where this is a concern. Eyebolts used for work-positioning, or industrial rope access, are subject to greater strain than fall arrest anchor devices. As such, they must comply with the LOLER Regulations(Lifting Operations and Lifting Equipment Regulations 1998). You must inspect eyebolts used for these purposes at least every six months. Taskforce UK Ltd is equipped with state of the art equipment to gain access to any part of a building or vehicle. We use the best hydraulic platforms and self-drive machinery to access all heights. Our operators are all CITB(Construction Industry Training Board), and IPAF (International Powered Access Federation) qualified in line with best practice. When it is not possible to complete the job using reach and wash water fed poles or cradles, Taskforce UK Ltd recommends hydraulic platform or cherry picker window cleaning systems. As with all operations carried out by Taskforce UK Ltd, health and safety are paramount, so all staff have IPAF training.